Size: approx. 8 mm. Photo: 05/29/12, 7 pm. 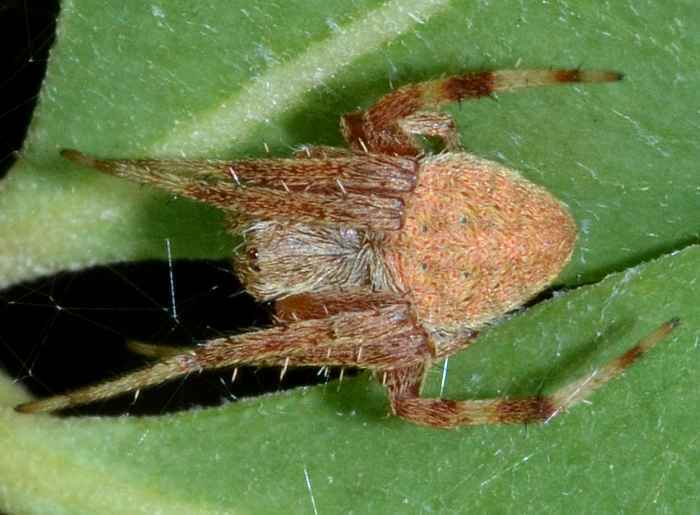 Neoscona crucifera are common spiders in much of the US and prefer moist woodlands. They are typically nocturnal but females can be found also during the day. Usually they build thier webs at dusk and remove them at dawn. 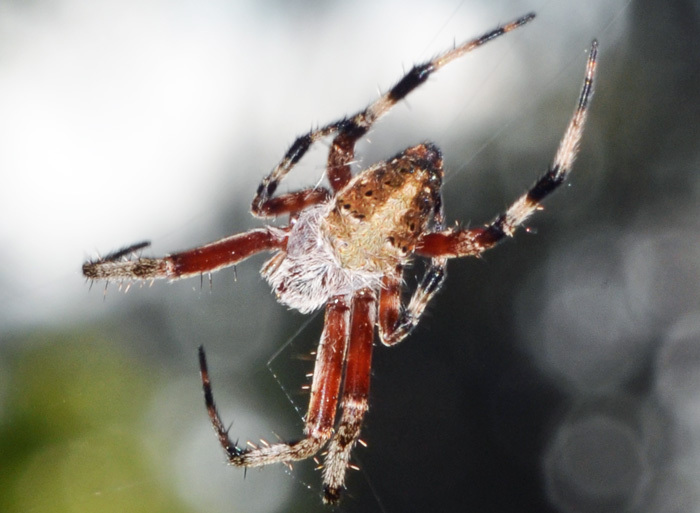 The UF link offers detailed information including a comparison to the similar species N. domiciliorun. The specimen in this photo appears to be a juvenile. Size: approx. 10 mm. Photo: 10/12/13, 2 pm. 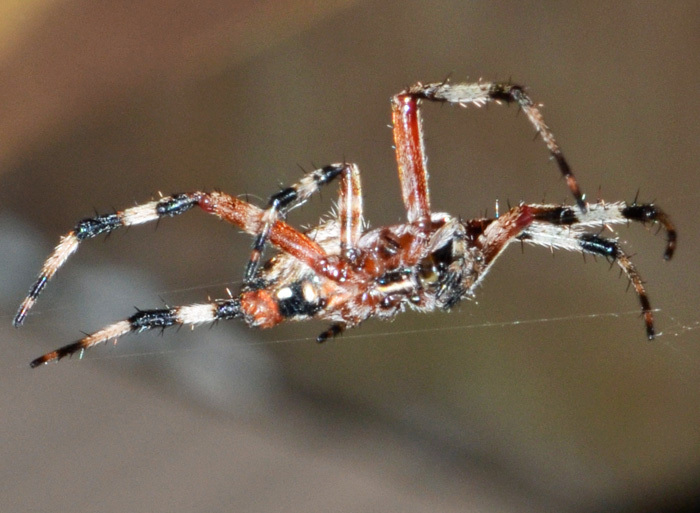 Neoscona domiciliorum builds its web at dusk and takes it back down around dawn. However, I found this one near our trash can around 2 pm. Spider jet lag?